OPEC Cuts, Will Russia Bluff? New year, same old market. Only now we’ve finally got some momentum going in oil. Prices surged above $55 per barrel on the first trading day of the year on news that OPEC had not only agreed to a production output, but was actually going through with it. If you’ve been watching the market the last few years, you’ll know those are two entirely different things. But the issue has finally come to a head; the group can’t afford to keep suppressing prices as it’s been doing since 2014. By now I'm sure you've guessed that “the group” mainly means Saudi Arabia. The country’s income is tied a great deal to oil, though it’s working to reduce its reliance on the commodity as much as possible. Late last year, we saw yet another OPEC meeting come and go, only this time it ended with a real decision: the group called for a global oil production cut. For the first six months of 2017, 1.2 million barrels per day will be cut from various OPEC members’ production levels, not including Libya and Nigeria, which had already seen production decreases due to unrelated circumstances over the past year. The vast majority of this is, predictably, coming out of Saudi Arabia’s share, and will still leave the country with production levels above 10 million barrels per day if it cuts from its record December numbers. But it’s not just OPEC that’s participating in the cut. The group stated that it would only agree if other non-members were to join it in reducing output, and several countries hopped on board. One of these was Russia, another top global oil producer. Putin has long been a supporter of a production cut and has been a notable part of many of the past year’s meetings on the subject. Taking a look at his country’s finances, it’s no wonder why. 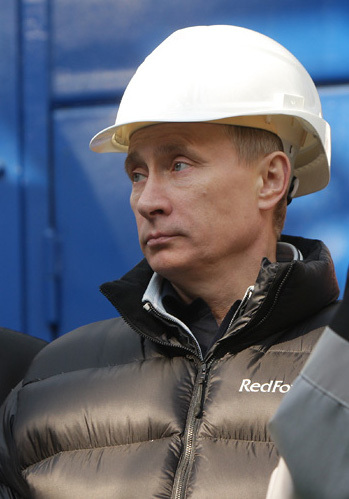 Russia’s economy, much like Saudi Arabia’s, is largely tied to oil exports. In 2014, the country’s export revenues amounted to $449 billion. That number dropped 33% to $331.5 billion in 2015. More than half of the country’s exports are tied to oil, including crude oil and refined petroleum products. When oil prices were cut to less than half of their 2014 highs, Russia lost a huge chunk of its income all at once. It’s been dealing with the effects of this loss ever since. In 2015, the country ran on a budget deficit of nearly $25 billion, 2.5% of its GDP. Even though earlier expectations called for the 2016 deficit to be smaller, the latest numbers are estimating that it grew to between 3.5% and 3.7% of GDP instead. "Our budget will be balanced when the price is $82 per barrel, so there are still a lot of decisions to be made when it comes to budget policy," said Russian Finance Minister Anton Siluanov in January last year. With prices bouncing around $40 for most of the year, $82 was really a stretch. Even Business Insider’s recalculation that the country could at least break even at $68 per barrel was a bit much to hope for, considering we’re only just now entering the real recovery. Its 2017 budget is based on oil at $40, which we’ve already surpassed. Now, that may make it look like the country doesn’t really need to participate in the cut at all, since it’s clearly reduced expectations. But you have to keep in mind that this budget includes massive cuts elsewhere. The country has already begun draining its reserve funds, reducing funding for social services, and even decreasing the salaries of government workers. It’s also been borrowing more from foreign partners. In 2015, the country managed to pay down its foreign debt by more than $85 billion, but it has plans to start borrowing again, as much as $7 billion throughout 2017. And with all this, the country still only expects to break even with a 3% deficit for the year. Last year, the country revised its budget plan to account for all these cuts... but increased overall government spending by nearly $5 billion, presumably on defense and militarization. To rein in the overspending and stop the deficit from getting any worse, Russia’s Finance Ministry wrote up a plan to nominally freeze the country’s budgetary allocations at 2016 levels for the next three years. Government spending would be stuck at about $260 million per year until 2019. So what does this mean for Russia’s part in the production cut? Well, the country doesn’t have much of a choice but to comply. It desperately needs the higher prices to get out of the hole it's dug itself into. Now, the cut is only supposed to last through the first half of 2017, though it could be extended if participants decide that’s necessary to balance the market back out. If Russia wants a say in that decision, it will have to play nice with the other oil producers. There's always a mess of things that can go wrong when you get large numbers of geopolitical powers in on the same deal. But for now, I expect we’re actually going to see some cooperation. The two biggest players, Saudi Arabia and Russia, are in the same boat: they literally cannot afford to keep prices this low any longer. And the U.S. — though I fully expect it to start grabbing up market share while it can — also won’t be too quick to pressure oil back down to the lows we've been seeing. Too many companies have been working at a loss to let that happen so soon. Energy and Capital editor Christian DeHaemer makes five bold predictions for gold, oil, defense, housing, and interest rates. 2016 Predictions: How Did I Do?